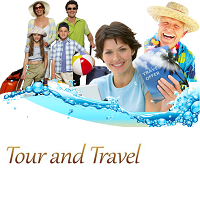 Brij Tours, Mathura (Uttar Pradesh, India) based travel agency, is known for its inimitable service of the tour operator. Our tour operator service is recognized for its safety, fun and punctuality. Our services are inclusive of airline ticketing, railway ticketing, passport & visa services and travel insurance services. All you need to do just visit us anytime or ring on the numbers that flash on our official website to share your travel plan and requirements; we assure to work accordingly. Our services are available all over the nation. Do give us a chance to serve you.